The Carnegie Mansion, built between 1899 and 1902, was rehabilitated in 1976 by the Smithsonian Institution for use as the Cooper Hewitt Smithsonian Design Museum. 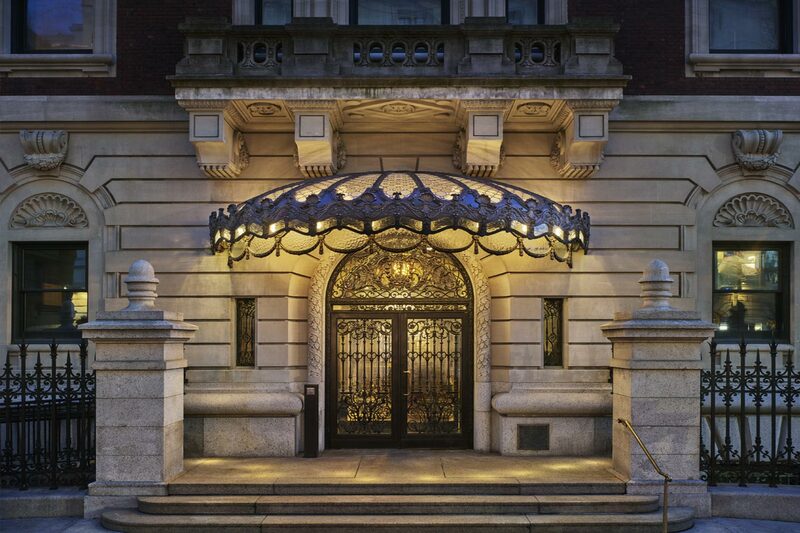 Designated a National Historic Landmark and listed in the National Register of Historic Places, the Cooper Hewitt wanted to restore its entrance canopy – an important architectural feature of both the mansion and the surrounding historic district. 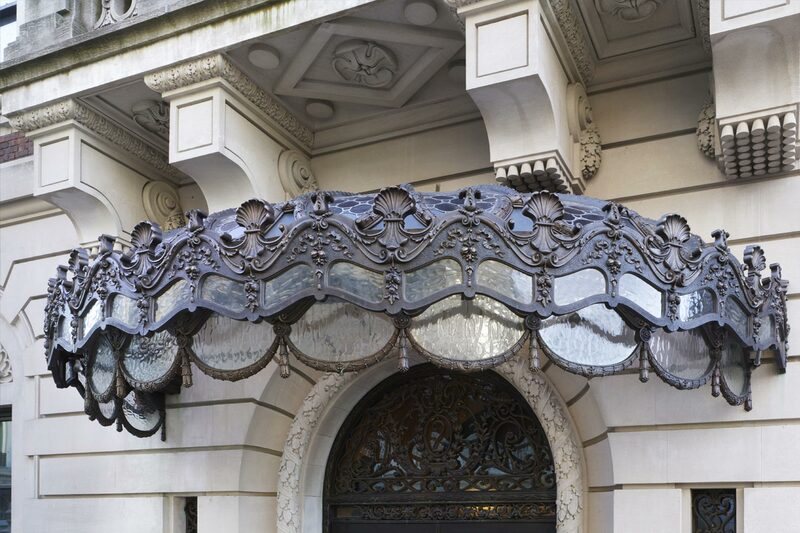 The restoration of the bronze and leaded glass entrance canopy required skillful collaboration of expert designers, conservators, and specialists in material conservation and restoration. 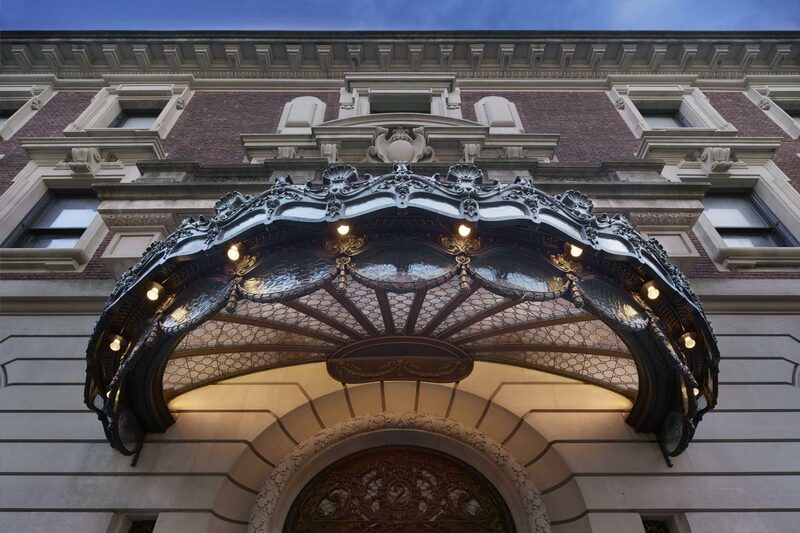 The restored canopy preserves the maximum amount of historic fabric, and returns the canopy to its original appearance, while providing innovative solutions for resolving snow loads and energy efficient lighting. "We recognize the skillful collaboration of multiple disciplines whose team work represents a high level of skill and commitment to preservation excellence. The subtle incorporation of heating elements to reduce snow load and energy efficient LED technology, referencing the warm effect of original incandescent lighting, will ensure the longevity of the restoration work and showcase this elegant feature in the evenings."